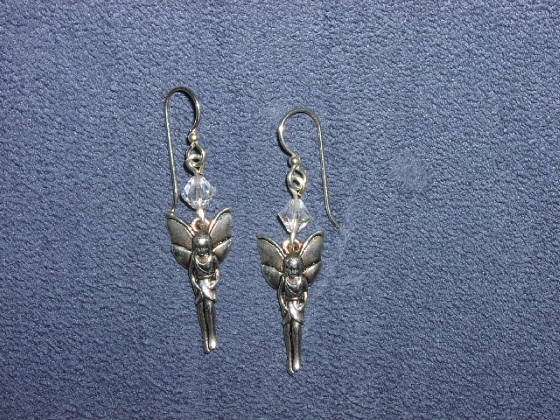 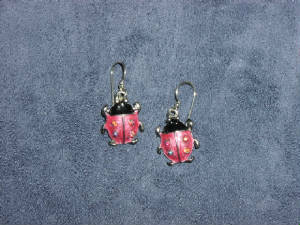 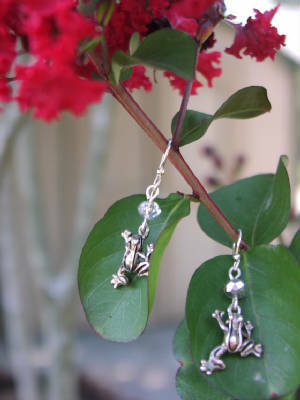 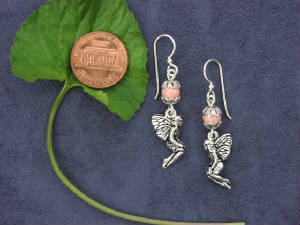 # 369: Leaf fairy earrings with silver filled hooks and Swarovski faux pale coral: $18./pair. 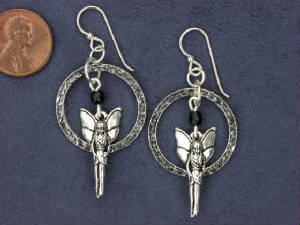 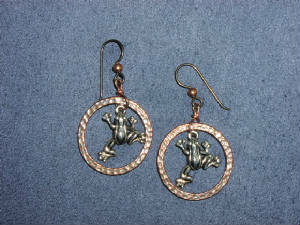 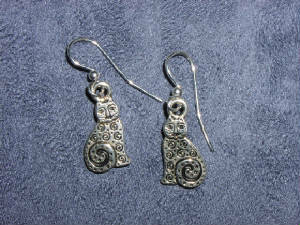 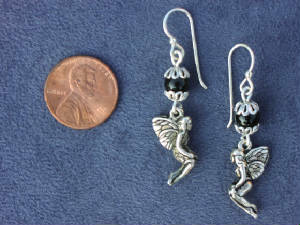 Earrings measure 1 and 1/4 inches. 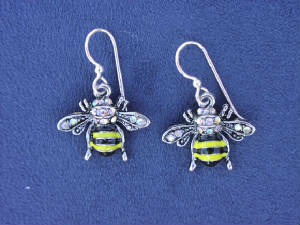 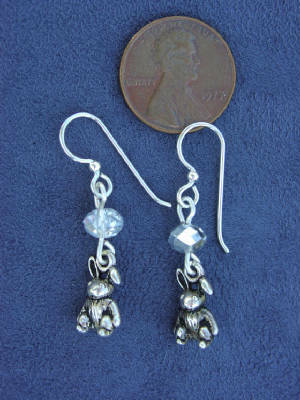 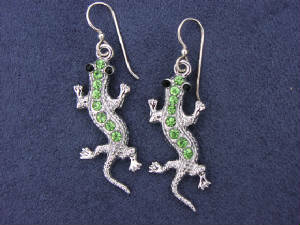 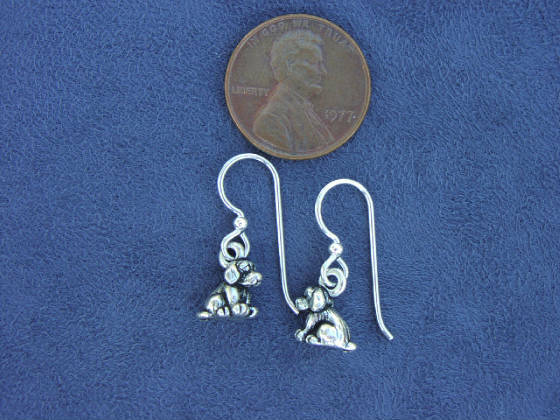 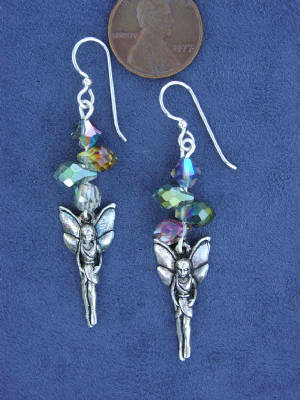 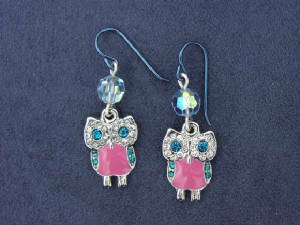 3/4" long with sparkly rhinestones.